Thank you so much for all of your kind responses to the 12th & White announcement! I am so excited to see everything unfold! You guys are the best! Since we recently got back from our fourth "big trip" as a married couple, I wanted to do something to have a reminder of all our travels. We try to escape once a year during the summer on a special getaway, and it's becoming one of our favorite traditions. I decided to create a photo timeline of our trips with labels of each destination and year. I found this multi-photo frame at Home Goods and knew it would be perfect to chronicle our yearly adventures. I had also considered doing individual frames with the same idea, but I liked that you can see the timeline in this one frame. 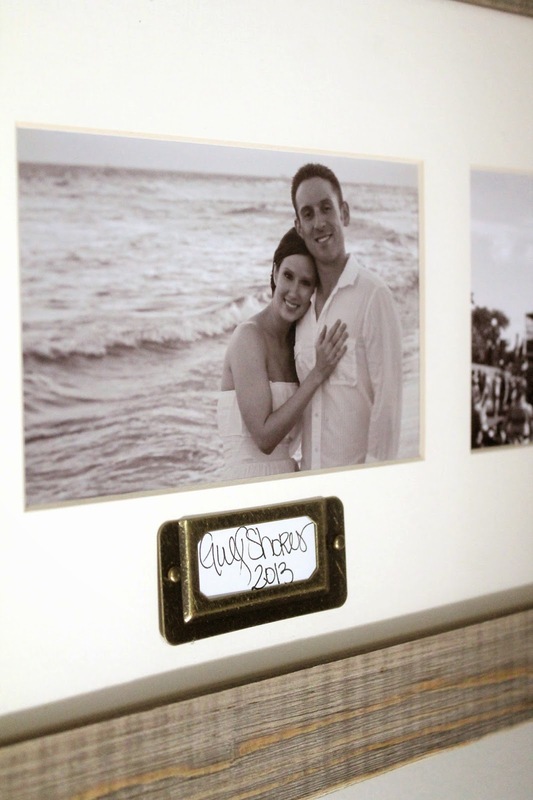 If you would like to do a similar project, you will need a frame(s) with mat, craft bracket labels, white paper and pen (or printer) and a hot glue gun. 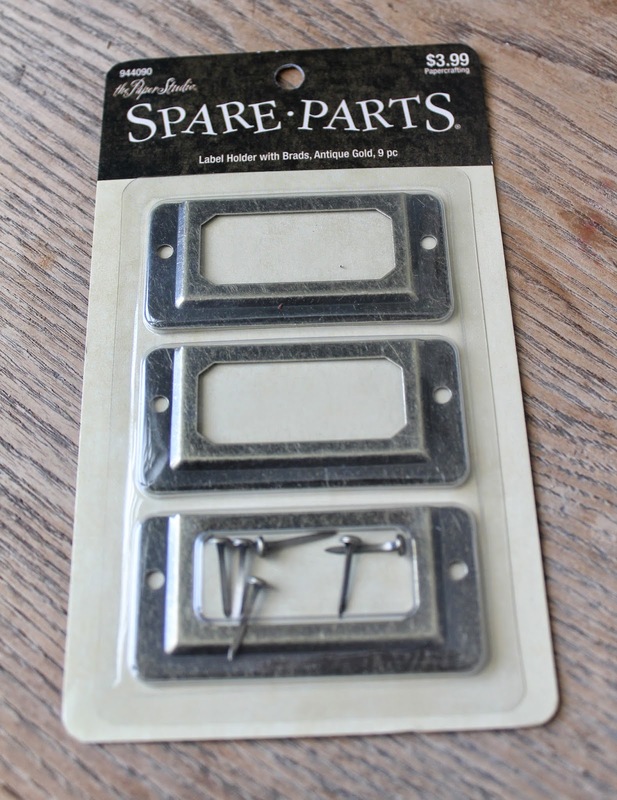 For the little label holders, I used these found at Hobby Lobby in the scrapbooking section. I hand wrote each of our destinations on a piece of paper, but will probably print out labels in the future (our printer isn't working right now). Next I hot glued the brackets to the mat under each photo slot with just a little glue to hold them in place. Then I slipped the labels in each one and I was done! So simple but now it's such a special treat each time I walk by. 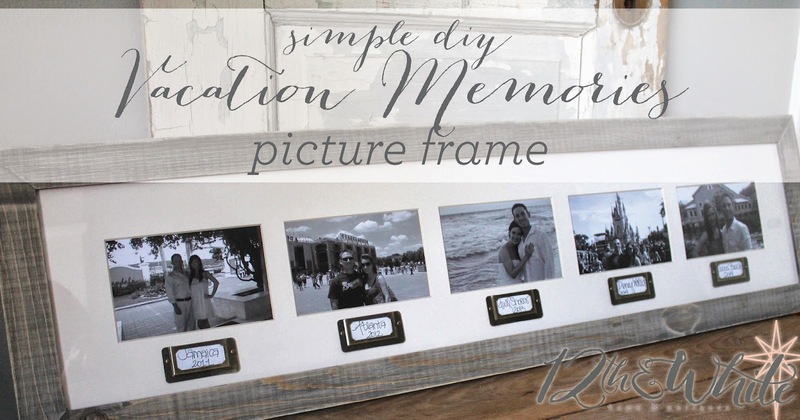 You could do the same thing with anniversaries, children's pictures, or just favorite moments you want to display. There is still one more slot we could fill for next year, so we'll have to start planning our next vacation! What a great idea! I actually have some labels laying around. I love the idea of adding vintage style labels to frames! So cute!! Question - is there a glass over the mat? 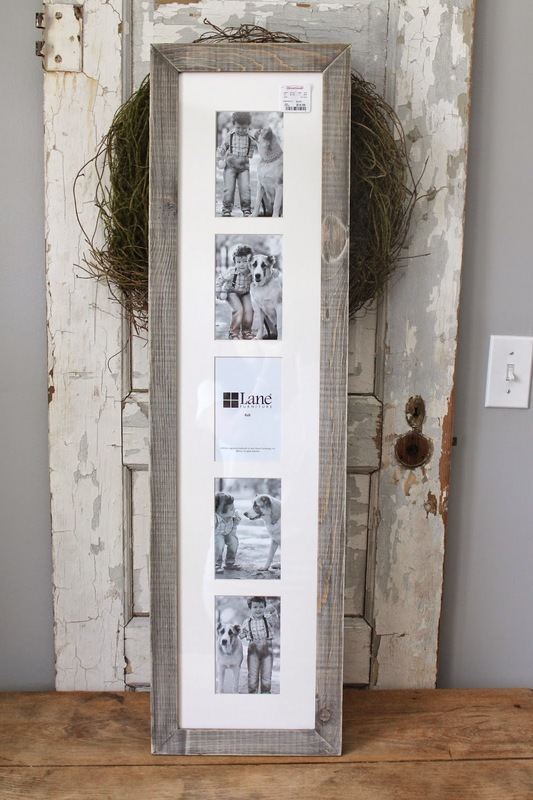 The frame is adorable with the added labels! Hi Susan! Yes, there is glass in the frame. Actually it was hard to photograph because of that : ) Hope that helps! Thanks! It turned out so great!! :) I need to do this ASAP!